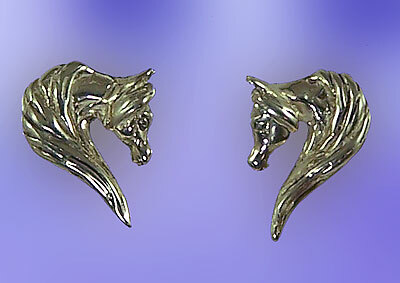 "Arabian Horse Head Earrings Sterling Silver"
Absolutely gorgeous Arabian horse head earrings. These would make a great gift for the Arabian horse lover in your life. Offering fantastic opposites and free flowing design that contours to the face. Dimensions:1/2 inch x 1/2 inch.